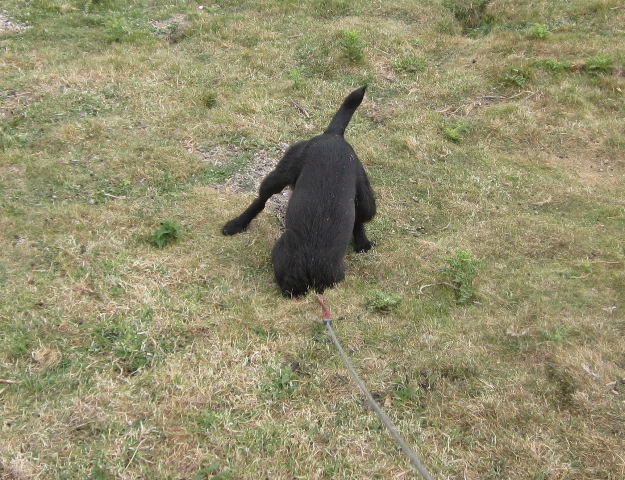 I don’t think I quite ‘got’ the full Patterdale personality before I adopted Jack – my previous dog was also a Patterdale, but I’ve come to see that he really wasn’t very typical – not much prey drive and rather easy-going! Jack is much more ‘terrier’ and although he’s a challenge, I love him dearly and he’s a lot of fun. He can hunt for England, even on a lead (slightly to my horror he caught a rat the second day I had him, and rushed around the rather genteel local dog walkers bouncing up and down and waving it triumphantly). He loves rabbiting and – these days – I’m canny enough for him to have quite a lot of fun without actually catching them. 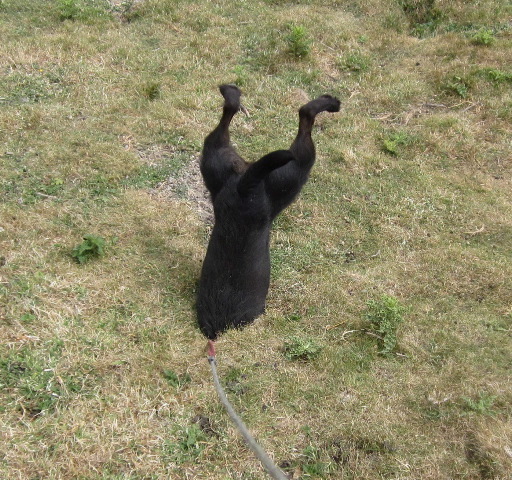 As you can see, though, nothing would stop him trying….